Maplewood Police reported in a release on Tuesday that a second round of shots fired on Commonwealth Avenue followed the first the following night. According to the release Maplewood police officers responded to a report of multiple gunshots fired in the 7300 block of Flora Avenue at approximately 11:40 p.m. on Feb. 25. The officers failed to locate any shooting on Flora but then discovered that a second shooting had occurred at the same apartment in the 7400 block of Commonwealth Avenue, as previously reported, on Feb. 24. On Sunday on about 11 p.m. Maplewood police officers responded to a report of multiple gunshots fired in the 7400 block of Commonwealth Avenue. According to the police department when the officers arrived, they discovered that someone had fired several rounds into an unoccupied apartment. Some of the shots traveled through the walls into an adjacent apartment to the rear, which was occupied by the residents. Police recovered 17 spent 9 mm shell casings at the scene, and Maplewood police detectives are investigating. No one was injured during the incident. 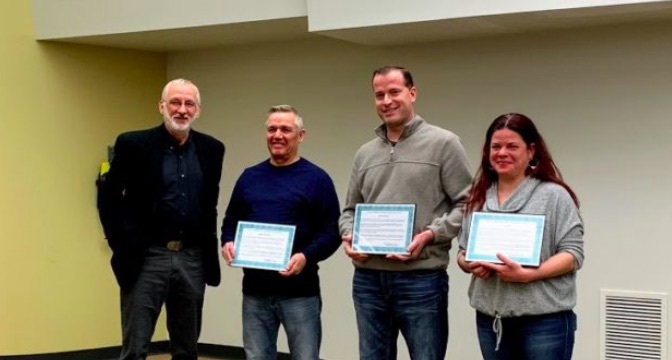 On Tuesday night, Maplewood Mayor Barry Greenberg presented certificates of commendation to Gina Imo, Jeffrey Summers, and Richard Sykora for rescuing a man whose car had become stuck on the train tracks on January 5, 2019. 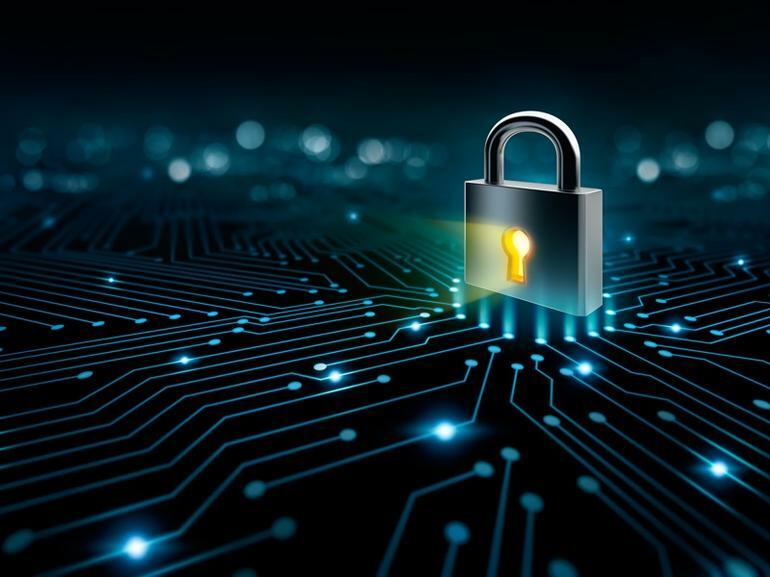 Greenberg praised them for the way they “distinguished themselves through their immediate response to the emergency,” and commended their courage under pressure. The council also overruled a request from Elmwood for four parking spots to be used for valet parking (Monday – Saturday, 5 p.m. – 1 a.m.) next to the new restaurant at 2704 Sutton Boulevard, suggesting they reduce the number of spots to two, after the owners of the Nova Salon asked the council to deny the request, claiming it would hurt local businesses. Economics: We spend more in taxes than in food and clothing combined in the US. We have record high taxes and even worse, record high spending. A Maplewood business owner hopes to become a medical marijuana dispensary when it becomes possible, KSDK has reported. Voters approved the sale of medical marijuana in November. Kelly Christensen has been in business about a year selling hemp products at Canvas Boutique and Dispensary in Maplewood, in the 7100 block of Manchester. Many of her products contain CBD — or Cannabidiol; it comes from the hemp plant, a close relative to marijuana. Both plants contain Cannabinoids, but marijuana is high THC, while hemp is rich in CBD.“Business has been awesome. Jason Goldcamp announced his run in April 2018. Eleanor Pardini filed to run in October. Scott Criscione announced earlier this week that he had obtained the needed signatures. In Maplewood, Penzeys Spices has moved temporarily to 7345 Manchester Road (three-month lease, an employee said) and Fantasy Shop has moved to 7329 Manchester Road — both in the mall with Schnucks on the north side of Manchester Road. Also in Maplewood, Sole Survivor is set to open in its new location at 7401 Manchester on Friday, and Taco Bell opened two weeks ago at the former Tim Hortons location (2750 S. Big Bend Boulevard). Maplewood Police report that on Sunday, Nov. 18 at approximately 12:28 p.m., Maplewood Police officers responded to the Manchester Metrolink Station for multiple 911 calls regarding a fight in progress. Two subjects were charged with assault and disorderly conduct. One subject involved was transported to the hospital for minor injuries. Investigation revealed that no robbery occurred. Maplewood City Manager Marty Corcoran proposed Tuesday night at the city council meeting that several parking spaces on Burgess Avenue be reserved for residents only, in response to several complaints from residents of Burgess. Corcoran told the council, “There are a couple of residents there [Burgess Ave.] that do not have driveways, and they’ve become fed up with school parents leaving them no place to park.” In response to the complaints, Corcoran initially inspected the school to see if there was, in fact, adequate parking for parents picking up their children and stated both times he visited there were at least thirty spaces left unused while the parents opted to park on Burgess Avenue instead to avoid the line. “The only solution we can think of is to create resident-only parking within certain periods of time,” Corcoran said. 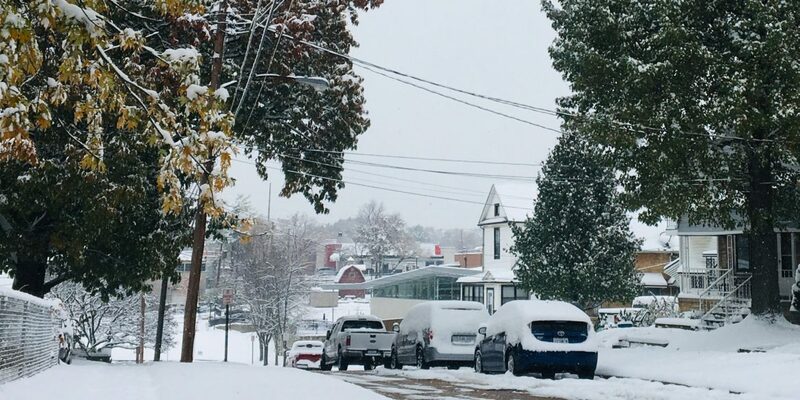 Mayor Barry Greenberg suggested an alternate plan in response, proposing only the residents without driveways be given two reserved parking spots each. 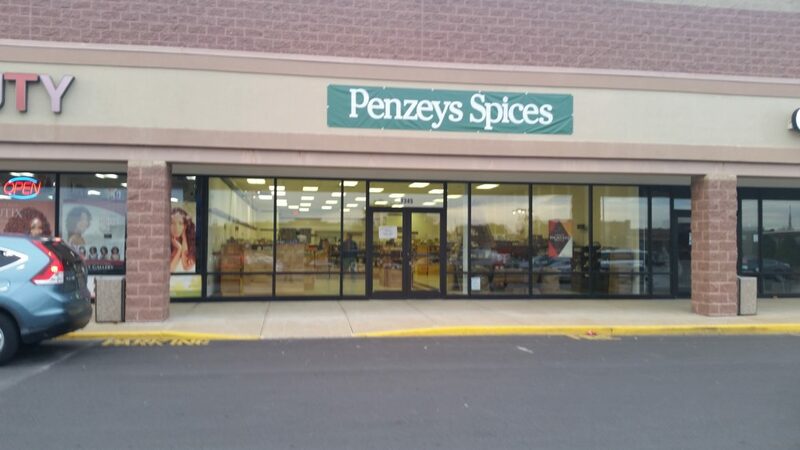 Beginning Sunday, Nov 11 Penzeys Spices in Maplewood will operate out of a new temporary location — 7345 Manchester Road, across the street from their usual spot and two doors down from Schnucks (between Nu Fashion Beauty and Clarkson Eyecare), the store has announced. 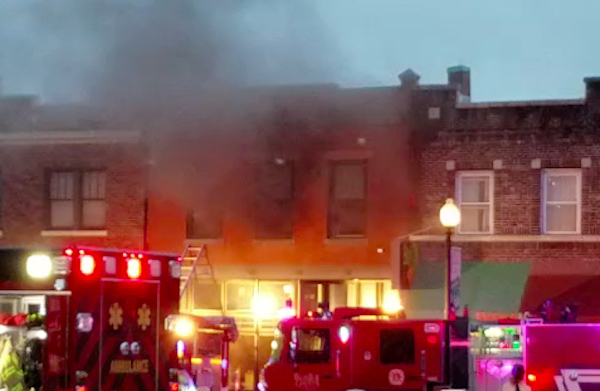 It’s the planned location through the holidays while repair work continues following a fire above the store in the 7300 block of Manchester Road in August that caused smoke and water damage. Maplewood Police has hired two new probationary officers recently. Both were announced on the department’s Facebook page. Probationary Police Officer Ryan Gibbons (below) will be assigned to the patrol division. Officer Gibbons is a nine-year veteran of the St. Louis Metropolitan Police Department and has served in various specialized units. Penzeys Spices, in the 7300 block of Manchester Road, opened soon after a smoke and water damage from a fire in August in a second-floor business forced its closing, but closed again for repairs. A source has said it’s hard to know when the store might reopen, but progress is being made and they might have a better idea within a week or so. The source added that it’s certain that Penzeys will reopen in its current space in Maplewood. A sign on their door says for now to visit the Penzeys store in Chesterfield. Business is growing for Maplewood business, Sole Survivor Leather, so owners Steve and Kay Rye began a search for a larger showroom with more inventory space. They found it at 7401 Manchester Road — the northwest corner of Manchester and Sutton — the business announced Sunday. They’ve been in business since 1968. They moved to Maplewood (7312 Manchester Road) from University City in 2015. The business is expecting to open in the new space on or before November 23, Black Friday this year. Join Leopard Boutique on Saturday, Nov. 3 at 7407 Manchester Rd. in Maplewood to celebrate the grand opening of its Maplewood store. It’s their third in the area. From their press release: Founded on the principal of providing a positive boutique experience for women, Leopard continues to aim for excellence via its promise to redefine femininity for the modern woman. A staff member of the city of Maplewood’s public works department convinced the former Volvo Cars Brentwood to remove ‘Brentwood’ from the exterior of its building, soon to be renovated. The dealership, at 7700 Manchester Road in Maplewood, is undergoing renovations to its interior and exterior. The exterior design was approved, minus ‘Brentwood,’ by the Design and Review Commission in May. It began in Brentwood but moved to Maplewood approximately than 20 years ago. The building east of the current showroom will become a separate showroom for luxury cars; it’s now being worked on. He saw the article as negative to his company, and gave his phone number in a comment on the article so he could give his side. He did that in a phone call on Friday. On Tuesday evening, three Maplewood residents voiced their objections to the updated wording of the Maplewood nuisance ordinance, saying they didn’t believe the city was doing enough to resolve the issues. In a public forum held during the city council meeting, Maplewood residents Kyle Oberle, Jim Breihan, and Jason Goldkamp addressed the council, commending them for taking the first step in amending the broken ordinance, but saying they did not believe the proposed amendments would resolve the fundamental problems with the ordinance. “I am distressed by the proposed nuisance ordinance. We are not facing the fullness of the problematic nature of our ordinance,” Oberle, the first to raise an objection, said. “I simply do not see the justice of forcing someone out of our community.